BEHIND THE SCENES- The Ultimate Bridal Event Runway Show — CM Bridal Co. Earlier this year, Australian Bridal Services hosted The Ultimate Bridal Event at the Carlton Exhibition Buildings. 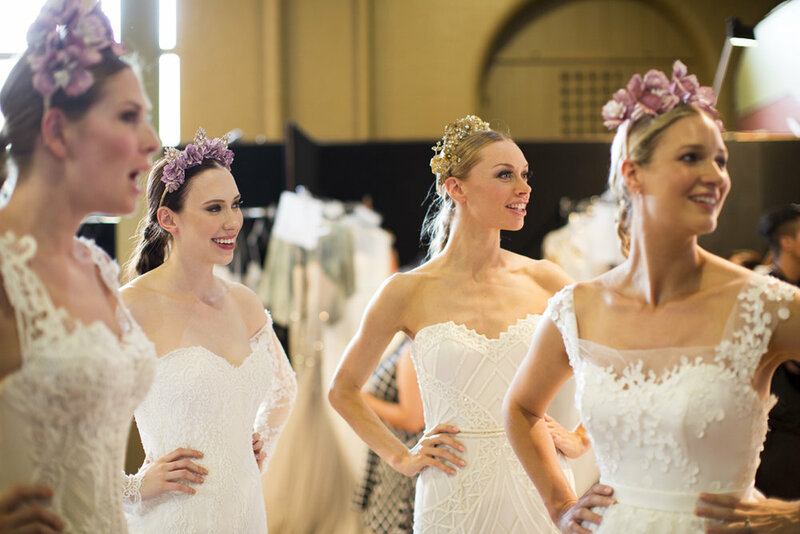 Over 200 of Melbourne's bridal industry experts showcased their talents to many upcoming blushing brides. The runway displayed the finest in modern and elegant wedding dresses with local and international designers such as Jason Grech, Mariana Hardwick, Bernadette Pimenta and the collection from Raffaele Ciuca Bridal. Hair accessories, head pieces and jewellery by the talented Jeanette Maree. The CM Bridal Co. Makeup Team worked backstage to create a romantic look to accompany the many various styles of dresses. Come backstage and see what happens behind the scenes of The Ultimate Bridal Event Runway Show. Thank you to Infizzitive Photography for beautifully capturing these moments.